We go above and beyond and ban the streets in the beautiful village of Feichten for one of the craziest Street Party this valley has ever seen. On Friday and Saturday, from 04.30 – 09. 00 pm, the KTO After Ride goes down for the very first time in KTO history. ALet´s give you an example: The latest masterpiece from Absinthe Films will underlined by the sound of their live band „Easy Giant“ and Local heros like Von Seiten der Gemeinde will be in concert as well as the Wax Wreckaz with a special street set. Finest local food and drinks available. Chill vibez, bonfires and outdoor movie screenings with exclusive movie premieres will go along nicely with Live concerts and some sweet DJ sets. …and did we mention: ADMISSION IS FREE!!! 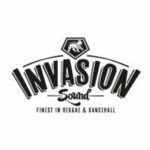 Invasion Sound are Raida, Yokee di Essenjahl Selecta, Flowalion. They have cooperated with artists like Capleton, Beenie Man, Elephant Man, Dawn Penn, Wayne „Sleng Teng“ Smith, amm. So when in Invasion come around, they come fi invade every party, every town. 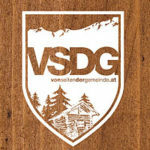 Yo!Zepp, Chrisfader & Testa are “Von Seiten der Gemeinde”. Authentic, sick and honest tyrolian slang rap mixed with sweet Hio Hop tunes. They have to be heard. Probably more fun you understand some german. Even without – a pretty unique and fun band with a great life performance. 5 guys, 400 kg luggage and 4000 km road ahead of them to one of the craziest trips in their lives all the way to Norway. Endless lines, wonderful Fjords and unreal backcountry! One of a kind ski / kite movie. A film about speed, turns, jumps, milliseconds, precision, ups and downs, frustration and relief. From the award-winning Legs of Steel comes an exciting new documentary that will draw you into the seemingly divided worlds that play out within some of skiing’s most unique and exciting disciplines. The start gates and slopes are different, and the rewards may seem wildly contrasting, but it’s all just skiing in the end…right? Straight out if Innsbruck they will come to set the crowed on fire! On 4 decks they play all kinds of crazy sound and going through masterpieces of all kinds of genres. Just one of the reasons, Buzy Fingaz won the last Red Bull 3style Austrian Chamionships. Check out the video and know what everyone is talking about – unreal mixing! 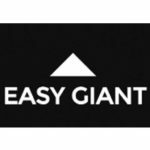 Easy Giant is an experimental sound project sound machine created by Chris Emmington and performed by space troubadours Ryan Taylor, Brandon Cocard and Aaron Oropeza. An oozing blend of psychedelic rock and roll and crunchy surfy vibes, drop kicked to the border of space. Aurora is proud to present the premiere of Turbo Dojo, the latest in Absinthe Films’ outstanding snowboarding film series. This breathtaking new film features some of the world’s best snowboarders taking on some of the world’s most majestic slopes. Turbo Dojo is a film for people who ride, by people who ride.